The Game You Can’t Win – Love. Life. Practice. I used to be a good kid. I sought the approval of my parents, my relatives, my teachers. I really wanted to live up to the high standards that they set for me (endlessly telling me about how much “potential” I had) and I went to some truly ludicrous lengths to do so. Yes. It really was that impressive. And then some. 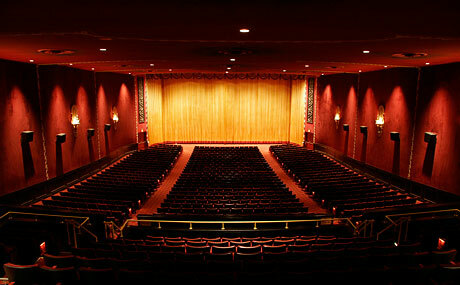 Along with the 6th-grade gifted & talented group I was at the Zeigfield Theater in New York City. I was representing my school as a competitor in the “Earth College Bowl”, a quiz-show type competition. It was Rocky-esque in drama, with an envious fellow student bullying me in the bathroom beforehand, me first falling behind and then coming within a hairsbreadth of disqualification due to my over-eager button-slapping hand. But I came back from behind and won the competition. It meant an expensive microscope for my school, a photo shoot with former Mayor Abe Beame, my name and photo in the NY Times, and getting literally carried out of the theater on the shoulders of my fellow students, cheering for me. Yes, even the bully. It was the high point of my elementary school life. She looked up from her book. “You need to take out the garbage,” she said. And went back to her book. For decades I looked at this as the watershed moment when it hit home: nothing I ever do will be good enough. It wasn’t quite like turning on or off a switch, but it certainly fed into my internal switch from trying to please other people and setting my own standards and my own goals. To this day it is one of my key principles: If your happiness is dependent on the reactions of others, you are asking for trouble. Hearing this tale, you might think that the “Game You Can’t Win” is trying to please other people – your parents, your boss, your lover, whoever. I certainly thought that for a long time. Society is where we prove to parents qua audience that we are not what we thought they thought we were. Since the emphasis in this relationship is not on what our parents thought of us but on what we thought they thought, they become an audience that easily survives their physical absence or death. Moreover, for the same reason they become an audience whose definitive approval we can never win. In a recent podcast, James Altucher interviewed an author who had earned a degree from Harvard Law, taken a prestigious position at a Chicago law firm, and discovered that he was absolutely miserable practicing law. He gave it all up to write a book about treasure hunters. The interesting part to me was the way he described worrying about what his parents would say. He thought they would be upset that he’d spent three years earning the best law degree available and then thrown it all away. He said that actually his parents were upset for a different reason: why had he taken so long to get out of that situation that was making him miserable? His idea of what they expected of him – and all the related stress and worry – was completely different from what they actually wanted for him. Yes, that 12-year old me could have used a little more celebration in that moment. It’s true that Mom missed that opportunity. But looking back now, having been a parent myself, I know just how hard it can be to even see those opportunities, much less act on them. Mom also struggled with chronic pain throughout her parenting life. She had two other kids to worry about, and a husband in a pretty stressful job in a stressful city. In short, this “watershed moment” that I thought represented She just doesn’t care! was just as likely to be Mom’s Really Bad Day. And yet I continued to tell myself the story: I’ll never be good enough. Except instead of holding myself to what I imagined my parents’ standards to be, I created entirely different ones: This blog isn’t popular enough. I didn’t make that podcast sound good. Why haven’t I written more books? I only wrote 300 words in the last hour! I’m fat! And ugly! And I drink too much coffee AND MY GLASSES MAKE MY FACE LOOK FUNNY! I write that to be ludicrous, but it’s entirely true. Last month I successfully helped run a 300-person event in Maryland. It was the biggest thing I’ve ever been part of, and while I had a lot of help from amazing people, the original idea? Mine. All mine. So as I work on a different event that’s taking place in Austin, you’d expect that I’d have some assurance that I can do this. Evidence – the data, the beautiful data – says that yes, this will be successful. The internal dialogue, though, is all about Imposter Syndrome: This is way bigger than you can handle. People are going to know that you’ve been faking it all along. It’s your own incarnation of the Peter Principle: this event will be the manifestation of your incompetence. That’s the game we’ll never win. Not trying to live up to other’s expectations – but rather, not realizing that we are trying to live up to what we think those expectations are. Our brains can come up with some pretty unrealistic ideas about reality; it’s kind of important to remember that. It won’t stop it. But it can make it, for a while, just a little bit better. Ugh, that word “potential” *STILL* sticks in my jaw. I can’t stand it, I was also told I had great potential and all the guilt ridden, you’re wasting your life, you’ll never be good enough bullsh!t that entails. My teeth are gnashing as I type. 20 years later and I’m still gnashing? Why? It still follows me around and I want so badly to put it down. Seeing my partner struggle with the same thing, expectations he thinks I have of him, really shine a light on how destructive that internalization of never good enough can be. For the record, I think he’s a great partner for me. I wish he could see it through the… umm, crap you didn’t use a metaphor for it… dysfunctional thinking?